CELEBRATE MOM WITH THE GIFT OF HEALTHY SKIN AT OUR DERMALOGICA SKIN CARE EVENT THURS. MAY 5. Calling all moms, moms-to-be, and those who love their moms! 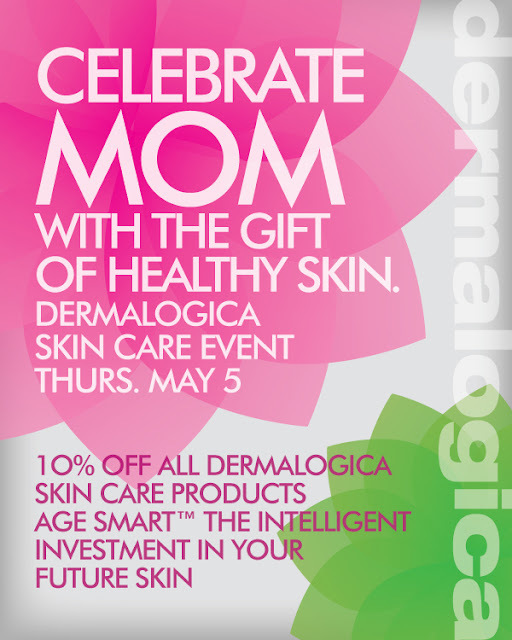 Come to Paul Mitchell the School Skin Academy for a special PRE-Mother's Day Skin Care Event on Thursday May 5th. RSVP for yourself, your daughter, mother or friend. *Skin Bar treatments are limited. Please pre-book your Skin Bar appointment in advance at 801 266-4693. Once treatment slots are filled, each guest will receive a Skin Bar treatment certificate to redeem at a later date. Skin Bar appointments require a $10.00 reservation fee which can be redeemed for product or other skin care services.